The Faculty of Land and Food Systems is always looking for ways to provide students with learning opportunities both inside and outside of the classroom. Getting involved with research — yes, even as an undergrad! — is a great way for you to apply the knowledge you’re acquiring in your classes. Conducting or participating in research can prep you for career opportunities, and positions you well for further study at the graduate level. Are you an undergraduate student in LFS? You may be surprised to learn that there are a variety of ways to get involved in research, including volunteer opportunities, for-credit study options, or paid options through established job postings and funding programs. If research piques your interest, treat the exploration process itself as research by learning more about what our researchers are doing on campus. While you’re thinking about it, be sure to check out LFS’s experiential and capstone academic opportunities for undergrads — there are plenty of ways for you to stretch your research skills. 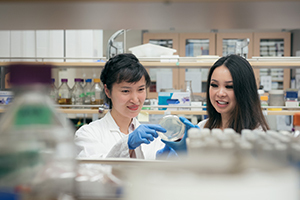 At UBC we have a community of world-class researchers who are actively pursuing knowledge in a variety of areas. Sometimes you’ll hear a bit about that research in the courses our faculty members are teaching. But more often than not, you’ll need to do a bit of digging. You can find much of this information on the various UBC websites. Each faculty at UBC lists their departmental researchers and hosts links to their research interests and projects. Curious about what the LFS faculty are up to? Find out more about our research here. No matter whether it’s volunteer or paid, for-credit or not, you want to make sure that any opportunity to engage in research matches your capabilities and experience. Your first step, then, should be looking at each faculty member’s research projects and connecting their work to your personal learning interests. Once you’ve found an area of research that interests you, look for the best opportunity to match it up with your own experience and abilities. One idea is to search for courses that a researcher teaches in your area of interest, and if you haven’t taken that course, register in it. This is a great way to develop a relationship with that researcher and to further determine your personal interest in that knowledge area. Typically it’s the faculty member’s decision whether to work with a student, so they’ll want a good sense of your knowledge and experience before taking you on. It’s up to you to develop the personal relationship that will help them understand your strengths. If you have little or no research experience, consider volunteering in a lab or on a research project. Volunteering is an excellent way to learn the fundamentals of how research works, and will often lead to for-credit (or sometimes paid!) opportunities. Volunteering is a great fit if you’re unsure of where your interests lie, but you know you want practical experience. Many of your LFS classes will provide you with a foundation for research experience, including classes in the core series and research methods (e.g. APBI 398 and FNH 398). If you want to go deeper and create your own research project, though, or collaborate on existing projects, you can — and you can gain credit at the same time! The various for-credit opportunities in LFS include directed studies, practicums, the career development internship and the undergraduate thesis. Most of these options will count as restricted elective (RE) credit toward your degree. You can learn more about these opportunities here. It’s important to know that there is a limit to the total number of these credits that you can apply to your degree (12 credits total), so you should consult with LFS Student Services or your program advisor if you have any questions about how to include these in your program. Great news! 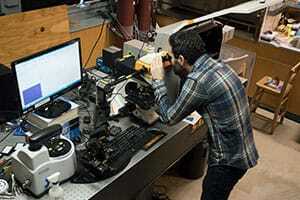 There are many paid research opportunities on campus for undergraduate students. These opportunities are competitive, though, and they require a combination of practical experience and academic readiness. Once you’ve gained some experience in a lab or on a research project, you may want to look at career opportunities in this type of work. 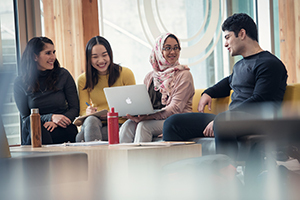 You’ll often find Work Learn and student positions on UBC Careers Online that involve elements of research. 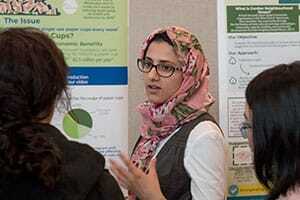 The National Science and Engineering Research Council (NSERC) runs the Undergraduate Student Research Awards (USRA) program in partnership with NSERC-funded faculty research on campus. This is an excellent opportunity for you to get paid to do research in an area of interest. These awards are competitive and provide funding for students to conduct research in a full-time, four-month consecutive time period, provided their mentor is working on NSERC-funded research. Learn more about the NSERC USRA requirements here. Get in touch with LFS Student Services or your designated program advisor to learn more about research opportunities in LFS. Not sure who your advisor is? Check your program’s webpage for his or her name.